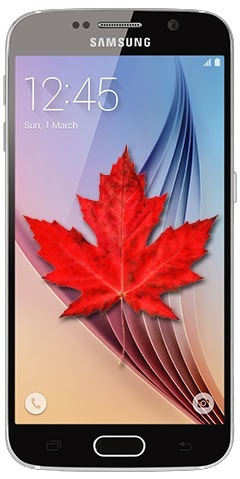 bell Fido Fogers Galaxy S6 Galaxy S6 Edge mts SaskTel telus tylt videotron wind The Galaxy S6 is here in Canada! Are you buying? The Galaxy S6 is here in Canada! Are you buying? So, April 10th means the first day that the Galaxy S6 is available in Canada. Checked a few of the stores on my travels today and there were no lineups; but we're hearing that it's already doubled the sales of the S5. Are you interested yourself? The S6 or the S6 Edge? My dad was thinking of upgrading his old Note 2 and asked which I suggested. For the $100 difference, it would be probably be well worth it to go for the Edge. Rogers, Fido, Bell, Telus, SaskTel, Wind, MTS & Videotron. Prices are typically $250 on contract or $750 for the S6, with a $100 extra for the Edge model. Right now the lowest price I could find on contract was $100 for the S6 on Wind, with the Edge being $200. Off contract the cheapest is Videotron at $700 or $810. Check out all the prices on the various carriers over at our database page, where you can even find our flagship comparator! If you're considering... one of the greatest features I find about the S6 is that it has the built in wireless charging - both Qi and PMA (tho' I'm not big on the PMA). This means you can go out and pick up some great Qi equipement. My favourites come from +TYLT. Their Vu line up is awesome! The Vu wireless charger was awesome when I tried it out way back, and since, they've released the Solo and the Car mount (which I have and am just waiting for the battery back for my G3 to come in and try it out). You can also protect the screen with their Alin series of screen protectors (as much as I like my naked phones, I still will put something on the front glass to protect it).